Charlie and Jay wanted to update the aesthetics and function of their existing upstairs bathroom and WC. 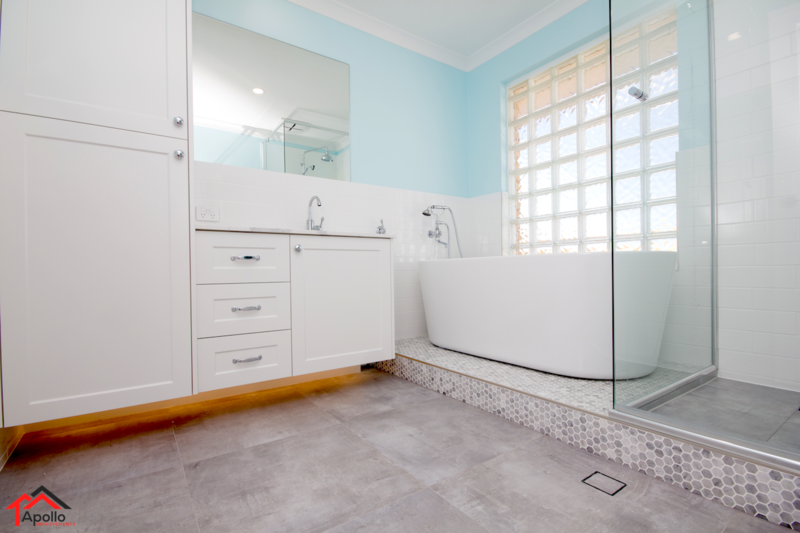 Due to the bathroom being on the second floor of the house, with plumbing works running through the concrete slab with traps above the existing slab, and no false ceilings underneath the slab, we were unable to do any plumbing relocations. 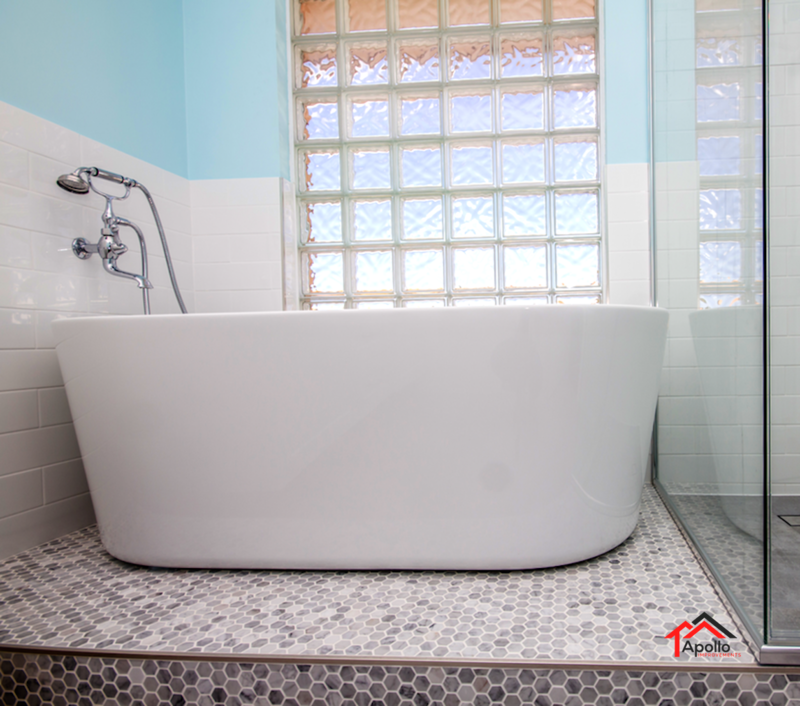 Making the raised platform a feature of the bathroom was easily achieved by the inclusion of a free standing bath and the beautiful hexagon marble mosaic feature tiles. 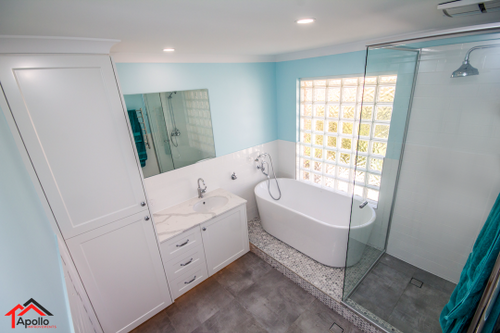 Requiring more storage in the bathroom for 2 beautiful young children, the custom cabinets incorporated a linen cabinet, and a custom vanity, with all panels being 2 part painted, with a shaker pattern. 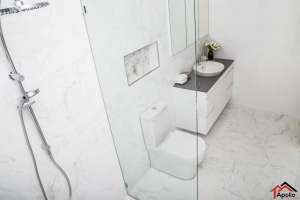 A Caeserstone marble patterned Benchtop with undermount sink helped bring together all the colours in the room, the grey of the 600x600mm floor tiles, the white subway tiles, and the cerrara marble mosaic tiles. Wanting to keep the bathroom looking classical, the owner selected a beautiful range of Astra Walker tap ware, from the 2 in 1 shower, the 2 in 1 bath spout, and the basin mixer, all from the Astra Walker Olde English range. 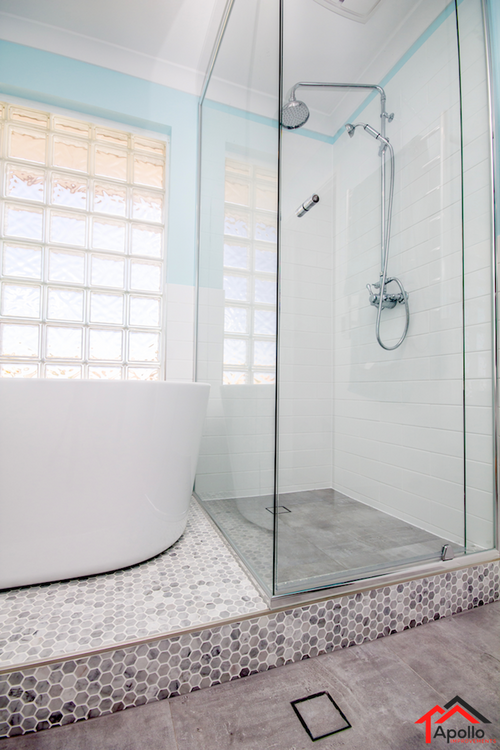 The bathroom is able to remain comfortable all year round with a thermostat controlled Underfloor heating and heated towel rail combo. 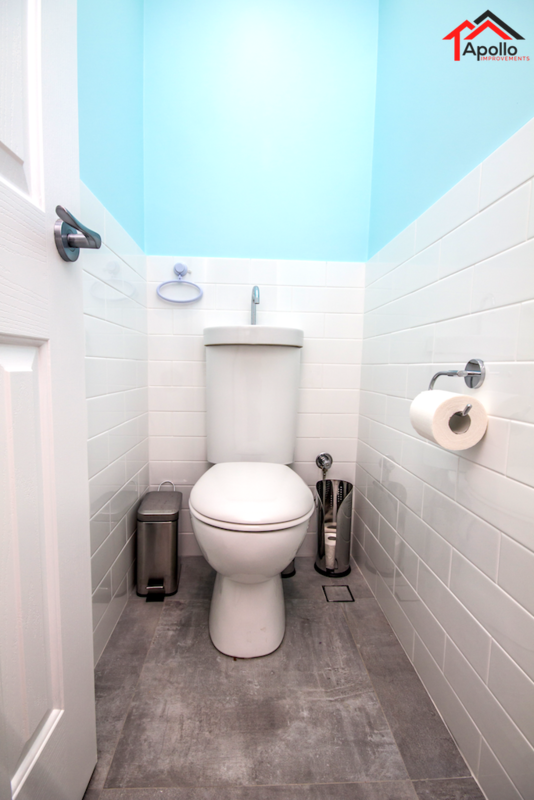 In an effort to reduce water consumption, whilst being able to incorporate a basin in the WC, the toilet suite was fitted with the Caroma Profile 5 toilet suite. This suite incorporates an integrated dual-flush push button and spout combination designed to lower total bathroom water usageFresh water is first used for hand washing and then flows into the cistern to ultimately flush the toilet. 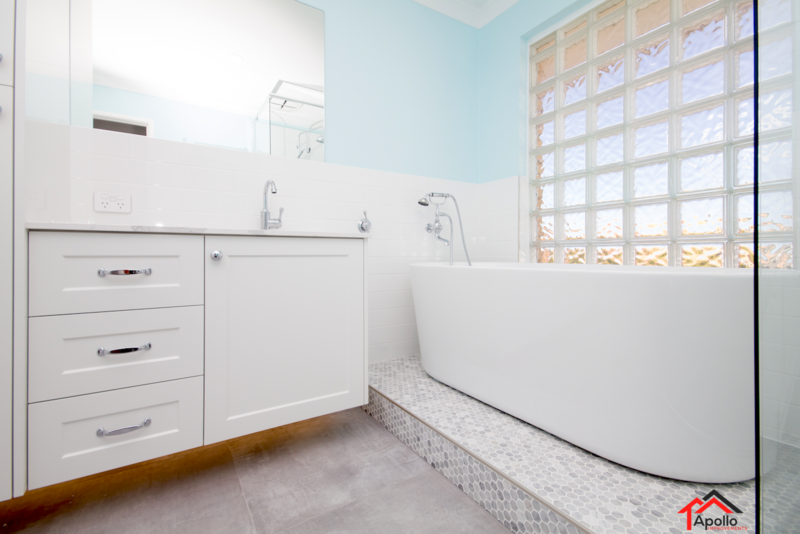 We supplied and installed everything but the painting for this renovation, and the clients are constantly finding new things to fall in love with in their new bathroom and WC.